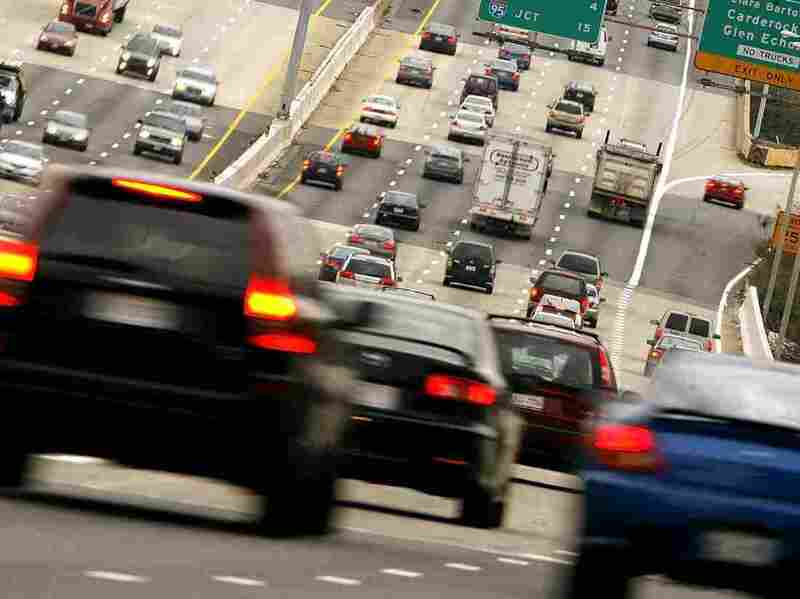 Where In The U.S. Should You Leave 3 Hours Early For A 30-Minute Drive? : The Two-Way Researchers at Texas A&M have crunched travel times in cities across the nation and they've got some startling advice for drivers. If you're hoping to get to parent-teacher night on time in some places, get in the car now. Washington, D.C., and its surrounding suburbs are the worst place in the nation to be if you absolutely, positively have to get to an important appointment on time. Give yourself three hours to get there if the destination is 30 minutes away and it involves any "freeway" miles. It's the only way in Washington to guarantee that in 19 out of 20 trips you'll be there on time, according to Texas A&M's new "Planning Time Index." And why can things be so bad in D.C., Northern Virginia and the Maryland suburbs? Take it from us, the always congested roads can seize up at the slightest drop of a snowflake or bump of a fender. -- Los Angeles-Long Beach-Santa Ana, Calif, where drivers should consider leaving 2.5 hours early for a 30-minute trip if it's important. -- New York City-New Jersey-Connecticut; leave 2.2 hours early. -- Boston-New Hampshire-Rhode Island; leave 2.1 hours early. -- Dallas-Fort Worth-Arlington, Texas; leave 2 hours early. We can, of course, suggest something to listen to if you're trapped in the car for hours at a time.